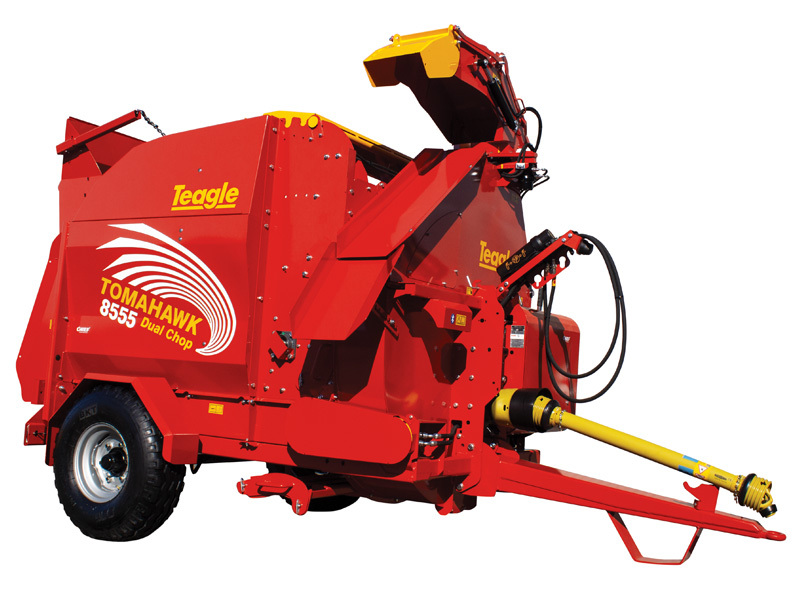 The most versatile model in the Tomahawk range, now with removable screen and an automatic chain lubrication system. 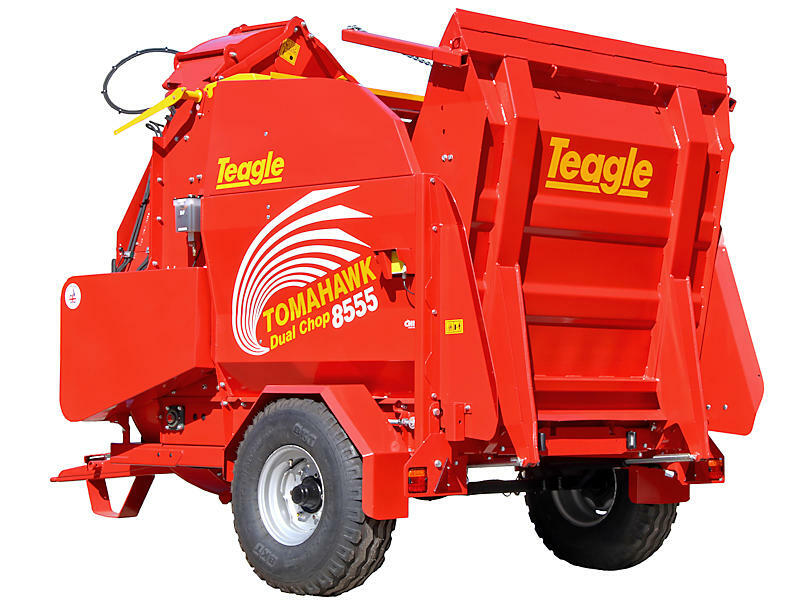 Now you can also process clamp and baled silage with the Tomahawk 8555. The screen which is usually fitted to ensure a consistently short chop length, is now removable through the side of the machine and an optional bypass frame is fitted. Time and fuel can be saved by processing straw prior to it being added to the ration in a diet feeder, 66,000 chops per minute offers fast and consistent performance. Pre-process straw so that the diet feeder does not need to mix for as long, thereby reducing the problem of over processing the silage in the ration. Chopping down to an average of 50mm, with clean cut ends, means you can achieve the ideal material for feeding to create effective rumen stimulation and increased milk yields. Now you can also feed clamp and baled silage by removing the standard screen and fitting the blanking frame. Under chassis storage for the screen when blanking frame is in use.